We all want to stay safe and warm while going for snowboarding, a good pair of snowboarding gloves with wrist protection can satisfy both needs by keeping your hands warm and dry and protecting your wrist from injuries. In this article, we are going to talk about everything you need to know about getting a pair of snowboarding gloves with a built-in wrist guard that best fits. A pair of snowboard gloves or mittens with wrist protection normally exist as a pair of gloves with built-in wrist guard under the gloves. These wrist guards are specifically built for use with the gloves, they are either made by metal or plastic, most are flexible and strong so they can absorb the shock when you fall. Dakine Nova Glove with Wrist Guard – a pair of snowboarding gloves that is waterproof, breathable and comes with a removable built-in guard, offers you greatest dexterity and has different color options for you to choose from. 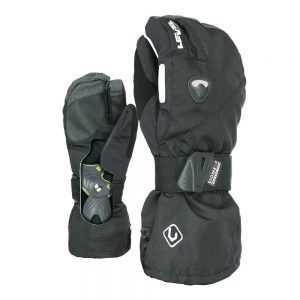 Level Fly Snowboard Protective Mittens BioMex Integrated Wrist Guards, Kevlar Palms, Fleece Liner – this pair of wrist guards snowboarding mittens is probably your warmest option, and yet they are also waterproof, breathable and comes with removable liner and wrist guards. Why and Who Should Wear Snowboard Gloves with Wrist Protection? So yeah, wearing a wrist guard can protect you from a broken wrist. In addition, I do believe that all level of snowboarders should wear a wrist guard, from beginner to expert black diamond riders. Most beginners to intermediate snowboarders fall quite a bit, a pair of good wrist guard could save you from a broken wrist. For advanced to expert riders? Honestly, I think you need more protection than beginners because you are now either riding at a higher speed or in some very difficult trails, your injuries would be so much worse than a beginner if an accident does happen. Or maybe you are a park lover? Sure you need a good pair of wrist guards for all those jumps, kicker, half pipe! The more you love snowboarding, the more you should keep yourself safe. So we have talked about the importance of wearing a wrist guard, why should we get a pair of snowboarding gloves with wrist protection? As I mentioned in my other article about tips for first-time snowboarders, it is always a good idea for us to bring less to the mountain, having a pair of snowboard protection gloves can save some room for putting your necessity like chocolate bars, lipsticks and less chance of losing them. In my experience, the most common items you can find in the lost and found are usually gloves, and the only reason for me to buy a pair of new wrist guards had been and still is: I lost them. I’ve never lost my gloves but I’ve lost over 5 pairs of wrist guard in my snowboarding life. So it’s really a good idea for you to get them attaching to each other so to minimize the chance of losing them. Snowboarding Gloves with Wrist Protection: What to Consider? Is the built-in wrist protection removable? It is always better for you to get one with removable guards because it’s easier for you to wash them and gives you more flexibility. For example, I am wearing a pair of gloves with removable guards, on my teaching days, I will just remove the guard of my right hand so it’s easier for me to carry the kids and gears. Your hands should be comfortably fit in with the wrist guards and gloves/mitts, and yet your hands should be free to move too because you need both freedom and protection. And make sure there is enough room for you to wear your inner gloves too. And it is a good idea for you to try different styles too: gloves, mittens or trigger mittens. Mine is a trigger mitt because I love the great balance between dexterity and warmth. Other than the safety part, we want a pair of gloves or mittens that can keep our hands dry and warm, the outer shell of your mittens should be waterproof. The insulation is also an important factor since you want to keep your hand warm and yet not too sweaty. So the insulation level is kinda depending on your need, just make sure you get one fits your need. However, do make sure you get one with moisture wicking liner, vents is a bonus so it helps cool your hands off when they are getting too hot. Breathability is also very important too since your hands will get wet with sweats. It’s better to get a pair with extra durability too since a pair of gloves with built-in wrist protection so you want to use it as long as possible. I would say wrist loops or idiot straps is necessary too since with the built-in wrist guard your gloves would be bigger than normal gloves and therefore it’s more difficult to put them into your side pockets. With this strings, you are less likely to lose them. A zipper pocket at the back of your gloves is always nice for you to put your ski pass in so it’s easier and faster for you to go through the chairlift entrance machine. This is a great pair of wristguard glove comes with waterproof and high insulation, lightweight and full-length over-the-cuff gauntlet. The wrist guard is removable. It’s easy to put on and take off and is adjustable. There are different color options is available! The part that I dislike? You’d better try them out first before purchasing these gloves since some has reported the size were too small on an online store. Another great pair of wrist-guard trigger mitts made by the built-in wrist guard gloves specialists. It’s warm, breathable, waterproof and comfortable. Also comes with removable fleece liner and wrist protection. What I also especially like is the trigger design offers you great flexibility and yet keeps your hand warm. What is not that nice? The price. It’s on the expensive side. This is a pair of super warm mittens with built-in wrist protection. Waterproof, breathable, very durable too. It comes with removable fleece liner and wrist protection. Also, the full-length gauntlet style cuffs so to keep the snow out. The part I don’t like so much is you have fewer color options, and it’s usually more expensive than other brands. Always wash your gloves according to the instruction given, normally using a mild detergent with lukewarm water is preferred, or if possible, wash them with a tech wash like Granger’s or Nikwax. Depending on the instruction given, you may choose to hand wash or wash with a machine. If you are washing them with a washing machine, make sure you put them in a laundry bag. Dry your gloves from finger down towards the wrist, line dries them and make sure you hang them up from the fingertips. If your liner and wrist guard can be separated from the gloves, it’s a good idea that you just separate them out first then wash them. 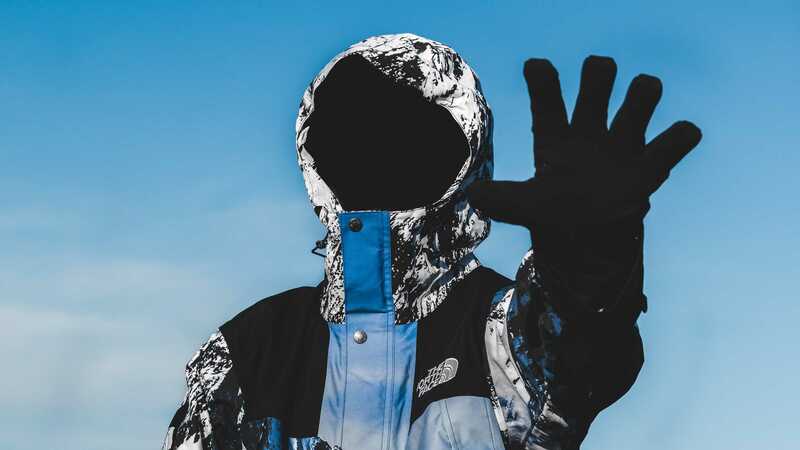 So we have talked about everything concerning a pair of snowboarding gloves or mittens with wrist protection, it is so important that you try to protect yourself as much as possible when you are heading up to the mountain. If possible, getting a pair of all-in-one snowboarding gloves with built-in guards is probably the best option, or else, still, please do kindly get a pair of wrist guard them and wear them when you go for your ride. I hope you found this article useful and if you like it, please kindly share it out. Happy snowboarding and be safe! Cheers! !